Features: . 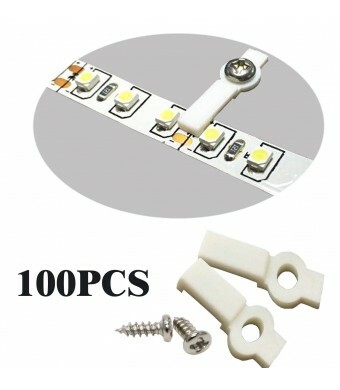 The new generation clips make your strip light installation easier. Fixing the clip with one screw.The other side is firm under fixing.But when you replacing a new strip light, the unfixed side is so convenient for releasing and inserting old strip light to new one. .Suitable for Non-warterproof SMD3528 SMD3014 SMD5050 SMD5630 LED strip light,ideal for wideness 8-12mm. 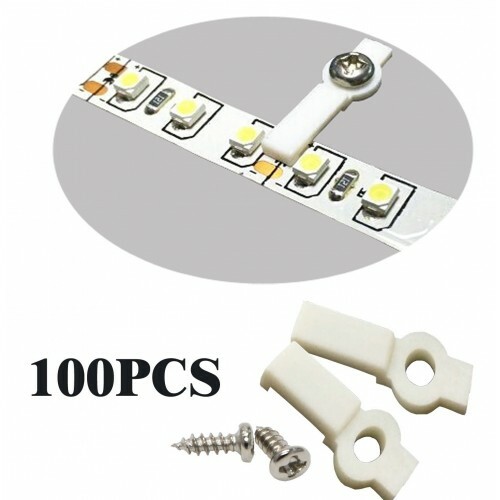 .Smart and nice looking.The compact dimension is good for fixing strip lights on spare place of PCB.It haven't any influence with LED's illumination. .Any troubles during the installation, send us an email please.You will get replied within 24hrs.